My Kitchen Rules 2011 winners Sammy and Bella share their favourite banana bread recipe flavoured with fresh passionfruit, topped with creamy ricotta – it makes a delicious breakfast or morning tea treat! 1. Preheat oven to 180 degrees. Spray a 11x21cm loaf pan with spray olive oil. Line the base and two opposite sides with non-stick baking paper, allowing it to overlap. 2. Sift the flours, cinnamon, and sugar into a large bowl. Place milk, eggs, melted butter, banana in a medium mixing bowl. Pass 6-7 of the passionfruits’ pulp through a sieve to remove seeds and place into bowl with wet ingredients and stir until well combined. If you still have lumps of banana, use a hand-mixer to break up large pieces. 3. Combine wet and dry ingredients and stir, add oats and shredded coconut. Stir until well combined. Spoon the mixture into the prepared pan and smooth the surface. Sprinkle over some left over passionfruit seeds and shredded coconut. 4. Bake in preheated oven for 45 minutes or until a skewer inserted into the centre comes out clean. Remove from oven and set aside in the pan for 5 minutes. Turn out onto a wire rack and cool completely. 5. Cut into slices and toast. Garnish with a scoop of ricotta and some fresh passionfruit pulp. 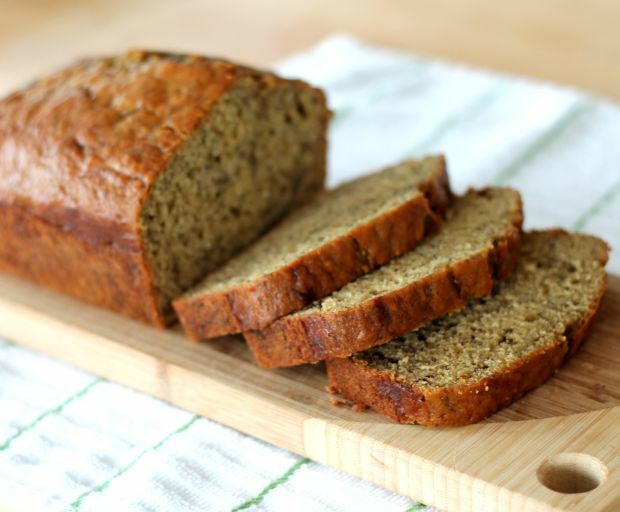 What’s your favourite banana bread recipe? 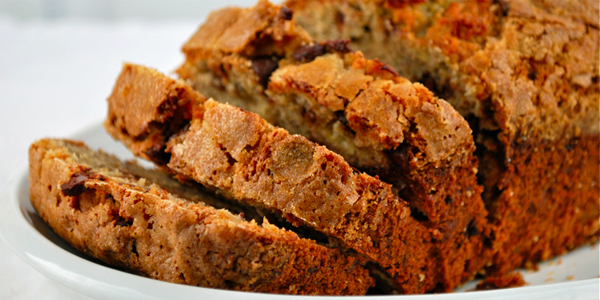 This is it: that cafe-style, moist banana bread you’ve been dreaming off. And it only takes a few minutes to get into the oven. A great recipe for making with kids and encouraging them into the kitchen! 1. Preheat oven to 190C. Grease a loaf pan with olive oil or a little butter. 2. Mix together sugar, butter and eggs using an electric beater or stand mixer. 3. Sift together the dry ingredients, then add to the sugar mixture. 4. Stir through the bananas, nuts or chocolate chips if using and vanilla extract. Pour the mixture into the prepared loaf pan and bake for 1 hour or until a skewer inserted into the middle of the loaf comes out clean. 5. Let cool for 5 minutes, then remove from pan. 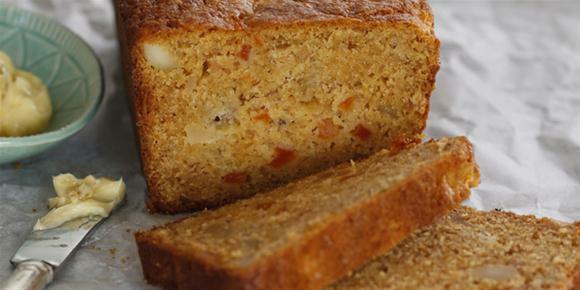 Give ordinary banana bread a thoroughly modern twist with MasterChef Alvin Quah’s recipe for papaya and banana bread served with honeycomb butter – perfect for morning tea! “Red papaya and yellow papaw are perfect ingredients in a variety of recipes. Their sweet tropical flesh works beautifully in desserts and cakes, but they’re equally lovely in savoury dishes. They add colour and flavour to fresh salads and, due to an enzyme they contain, they can be used to tenderise meats such as chicken and pork,” he says. 2. Combine the flour, sugar and baking powder in a large bowl. minutes before turning onto a wire rack to cool. until pale. Add honeycomb and stir to combine. What’s your favourite morning tea recipe?